In a long distance relationship? 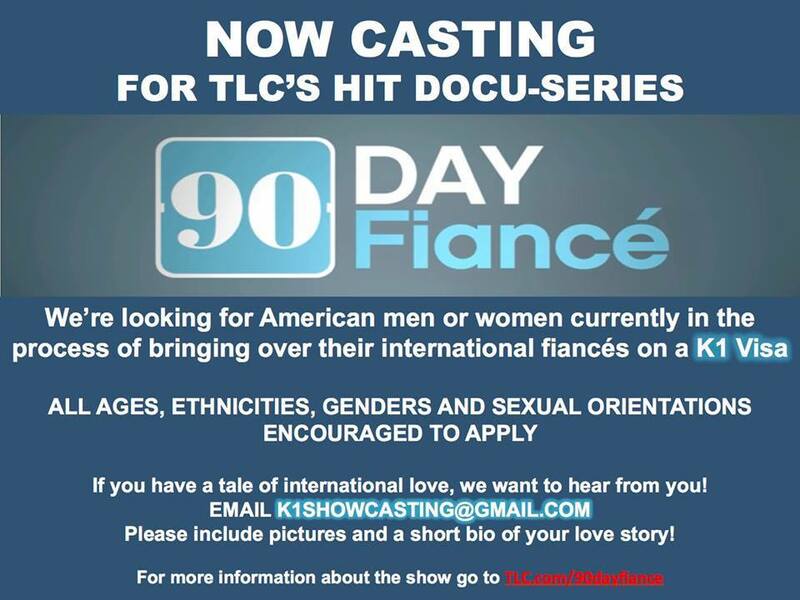 90 Day Fiance now casting. 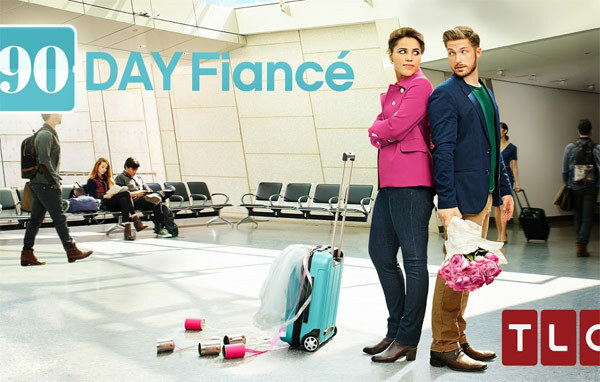 Now casting a new season of the hit series 90 DAY FIANCÉ! If you’ve already filed for a K1 visa and are in the process of bringing over your international fiancé to the US, we’d love to hear from you. Long-distance relationships have challenges that are sometimes difficult to overcome but consider if the distance traveled was halfway around the world and a couple had just 90 days to decide whether the courtship should conclude with marriage. That’s the situation facing the men and women profiled in this series, which shares the complexities of international romances. Using a visa that allows foreign fiancees of American citizens to travel to the U.S., the men and women experience life in the States with their prospective mates for the first time. Culture and language barriers must be overcome — not to mention the stigma of being thought of as mail-order spouses — but here’s the elephant in the room: The couples must marry before the visas expire in 90 days, or else the visitors have to immediately return to their countries. With the clock ticking, these couples discover if their “happily ever after” is meant to be. How does this work? I noticed ‘yall never had a person who hearing impaired or does sign languages… I’m in USA and the other is in Indonesia, Africa, will you help make our dreams come true? Hello TLC I have a lovely story to tell. My boyfriend is Ghanaian and he lives in Accra Ghana. We have been talking for 9 months and thinking we should live happily ever after. I live in Glendale Arizona.